Boulder, Colorado: The Happiest Place in the U.S.
Boulder: Happiest Place in the U.S.
National Geographic and the "Today" show recently recognized Boulder as "The Happiest City in the U.S.." Forbes recently noted Boulder tops the list of an etiquette expert&apos;s friendliest cities in the nation. Boulder has earned a spot on Gallup’s “Highest Well Being Communities” list for several years running. 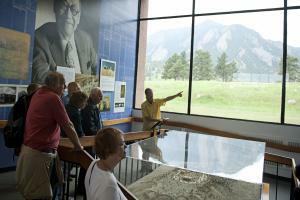 And even back in 2011, CBS News wrote, "If happiness is a state of mind, then Boulder is its capital." 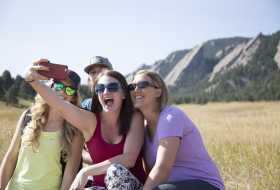 So what makes Boulderites such a happy bunch? 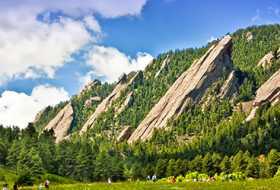 It’s likely a combination of factors: a surfeit of sunny days, a laid-back lifestyle, natural beauty that’s always within view, ultra-fresh dining and natural foods scenes, the influence of the University of Colorado Boulder, a highly active culture, and enough craft beer to put a smile on anyone’s face. Getting outside will get your blood pumping and your heart beating along with your steps. Do as the locals do and hike in any kind of weather for a natural high. Easy: Red Rocks Trail — Overlook the happiest city from a perch among fascinating, otherworldly rock formations. Moderate: Amphitheater Trail — Pass a natural amphitheater where you’re likely to see rock climbers. Difficult: Royal Arch —This is the most popular trail on Boulder’s public lands. After a thigh-burning climb, you’ll see why. The wind in your hair, the passing scenery, the trails, friendly fellow bikers... there&apos;s no question that biking in Boulder is a feel-good proposition. In fact, Boulder is completely obsessed with biking. Cruiser: Boulder Creek Path — Running right through town for 5.5 miles, this shady, creek-side path is a delight. Mountain Biking: Canyon Loop at Betasso Preserve — Meadows, cliffs, mountain views — this 3.3-miles loop has it all. Playtime: Valmont Bike Park – Constructed specifically as cyclo-cross park — but with something for every kind and size of rider. There&apos;s even a toddler track. It&apos;s not secret the key to lasting health and happinesses is to nourish your body (and soul) with good food. Boulder&apos;s talented chefs work hard to ensure you won&apos;t compromise flavor along the way. Low-Key: Basta will blow your blissed-out mind with its delicious pizza pies and much more. Super Boulder-y: Leaf Vegetarian Restaurant is next-level farm-to-table, making delicious, plant-based dishes you can feel good about. Haute Cuisine: Frasca Food & Wine is the pinnacle of fine dining in Boulder. Just put yourself in the hands of Frasca&apos;s world-renowned sommelier and chef. 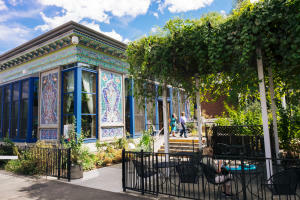 A few libations among friends (in moderation) seems to keep locals happy — whether it&apos;s to enjoy our bursting-at-the-seams brewing scene, two welcoming wineries or a laid-back bar just to your liking. Avery Brewing&apos;s White Rascal is the perfect excuse to visit this facility in the Gunbarrel neighborhood for tours and tap-room tastings. A libations hot spot on Lee Hill Road is your chance to tour not one, but two wineries — plus one brewery — all in one building. 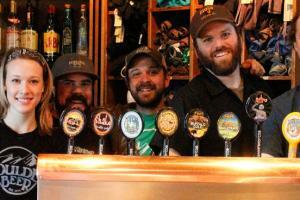 Sample Colorado wines at BookCliff Vineyards or Settembre Cellars and beer from Upslope. Bitter Bar’s Kiss the Sky — with gin, lavender and lemon — is sure to turn any frown upside down. Ditch the car and stroll Boulder&apos;s neighborhoods, an ultra-walkable downtown and districts with tons to explore. 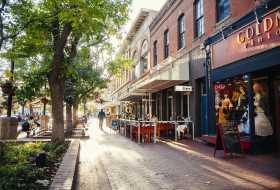 Pearl Street — To really soak up the Boulder lifestyle, head down to Pearl Street, a brick-paved, pedestrian mall in historic downtown, for a European-like stroll among locals. Duck into stores like Into the Wind kite shop or the colorful, local clothing shop Fresh Produce. The Hill — Mingle among carefree college kids in this district adjacent to the University of Colorado Boulder. Boulder Farmers’ Market — it’s nearly impossible not to smile among buckets of blooms, piles of freshly baked bread and stacks of fresh veggies. This market was named No. 1 in the U.S. by readers of USA Today. Boulderites know how to throw a party, and several can&apos;t-miss festivals and events happen each year. Boulder International Film Festival (February) — Four days of fabulous parties, celebrity sightings, culinary events and film screenings. Craft Beer Festival (August) — Samples of the best beer from over 30 brewers, plus a killer live music lineup. Colorado Shakespeare Festival (June-August) — Live performances under the stars on the CU campus make for an experience you’ll never forget.